I often think that as a self-confessed foodie I must be the easiest person to buy for. As a student, I regularly asked Mum and Dad for a “hamper” of food under the Christmas tree, not just tins of baked beans like a normal student might request, but jars of nice pâté, squid ink pasta, and other treats that I wouldn’t normally buy for myself. But, as the years went on they got a little bit bored of just buying me food for Christmas. Whilst food is a fantastic gift for any food lover it’s not always the most original. So, here’s where my gift guide comes in. I’ve hand picked 10 alternative gift ideas for food lovers. Something they might not be expecting but are bound to love! Prices start from £8 all the way up to £49.99 so there will be something for everyone. Merry Christmas! 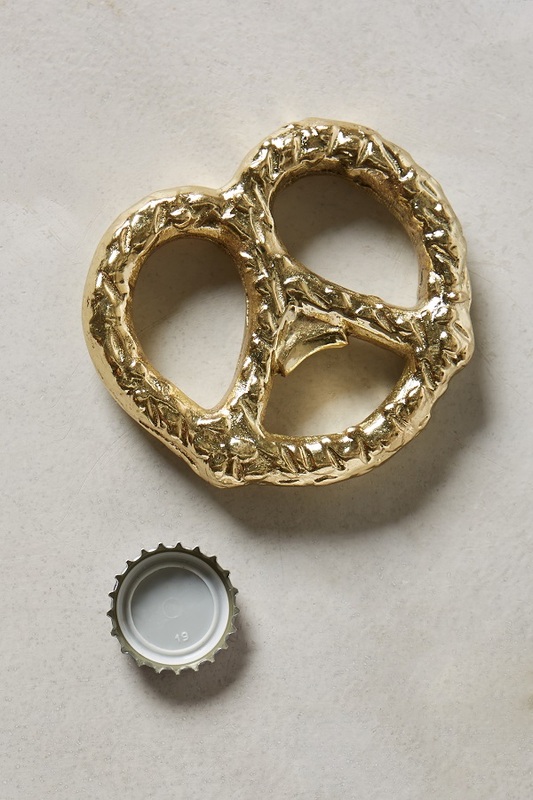 Why not combine a love of food and drink with this Golded Pretzel shaped bottle opener. This is the perfect gift for the style conscious foodie. The only time it’s good to see a mouse in the kitchen! 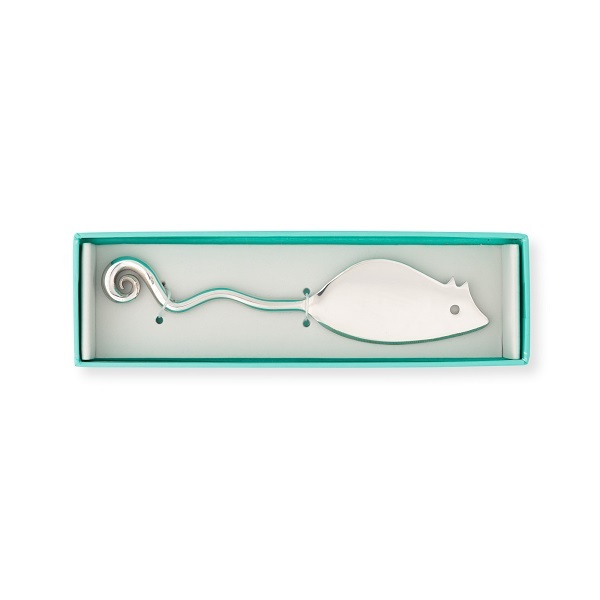 This cheese knife, shaped like a mouse complete with curly tail is absolutely adorable! Forget the latest edition of some C list celebrities Cookbook this Christmas. Instead, give the gift of laughter with this fantastic cookbook from Ian Flitcroft. Ian’s writing style is fantastic and so engaging. I can’t wait to cook up some of these spectacular treats over the festive season! Follow me on instagram to see how I get on. 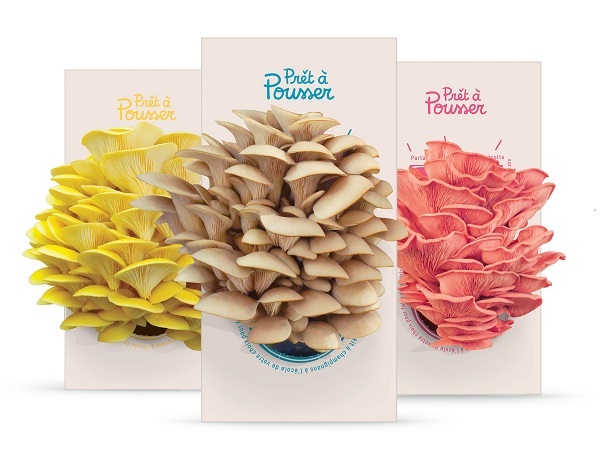 If your foodie friend is also green fingered then they will be ecstatic to see a Prêt à pousser grow your own mushroom kit under the tree. The concept is simple, simply place the box in your kitchen, water from time to time and harvest your mushrooms after 10 days! Haven’t you heard? 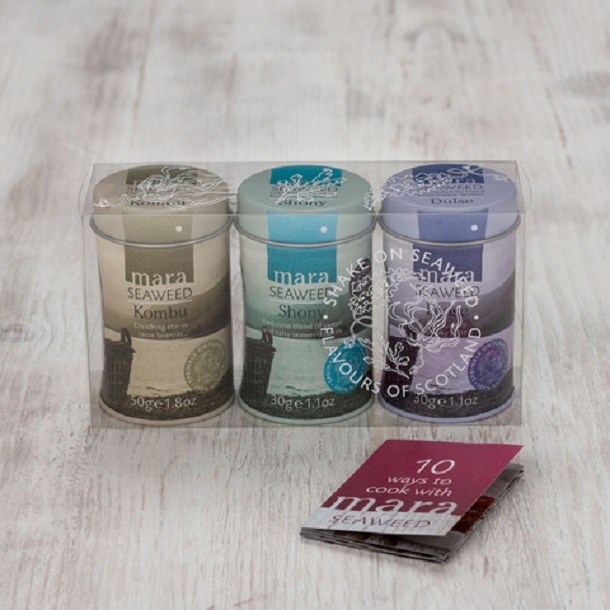 Seaweed is the next big thing so any foodie worth their weight in gold will want a tin of seaweed under the tree this Christmas. 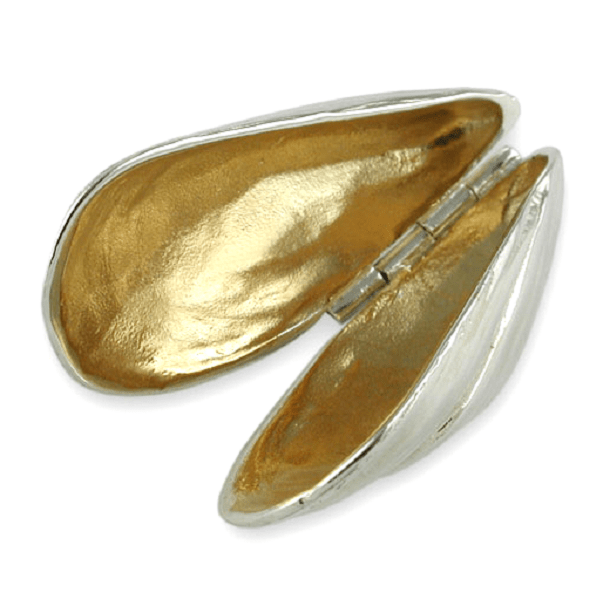 These Silver and Gold Plated Mussel Eaters from Anglo Silver are the perfect present for seafood lovers. Forget the enamel moules pot, this gift oozes class! This Cheese Wedge Cloche is going straight on my wish list. It’s both fun and stylish! 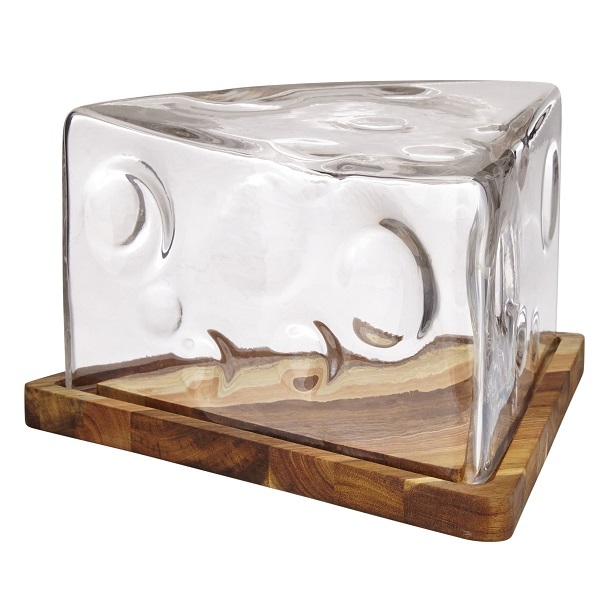 Let the mouse see the cheese with this fun foodie gift. Do you have a foodie friends who’s favourite chefs include Heston Blumenthal, Grant Achatz and Ferran Adrià then this is the gift for them – molecular gastronomy made easy! Start a New Christmas Tradition This Christmas! Thank you for sharing these great foodie holiday gift ideas! I especially love the mushrooms!!! I love my mushroom kit and the mushrooms were delicious. Once they got going there was no stopping them at all. I also rather want the seaweed sprinkles, it goes so well with anything savoury. We will be harvesting our mushrooms tonight Helen! We’ll also be buying these for friends and family – grown ups and kids alike! They make a fantastic gift. Have yours started growing for a second time round? I’ve also enjoyed cooking with the seaweed. I love adding it to a fish pie. Really brings out something extra special! It’s been so much fun watching them grow Cathy! I can’t recommend them enough – we’ll be harvesting ours tonight to go on a mushroom and walnut puff pastry tart. Thanks Linda! Lots of these are now on my wishlist. I particularly love the pretzel bottle opener! Loads of fun ideas here; there are only so many boxes of chocolate a chocoholic can receive for Christmas! I’d personally like a waffle maker. Is Santa Claud reading? ?